Our homeowners chose honed marble countertops for the kitchen island (2" mitered) and vanity, which really adds to the luxurious, worldly atmosphere of the home. On the perimeter of the kitchen, they went with a polished granite - a slightly more durable and scratch-resistant surface, great for the more heavily used perimeter. This kitchen features fully custom cabinetry from Das Holz Haus, a high-quality, handcrafted line from Illinois. They’re flush inset with Shaker doors, the perimeter finsished in Ice Mist and the island in Black. 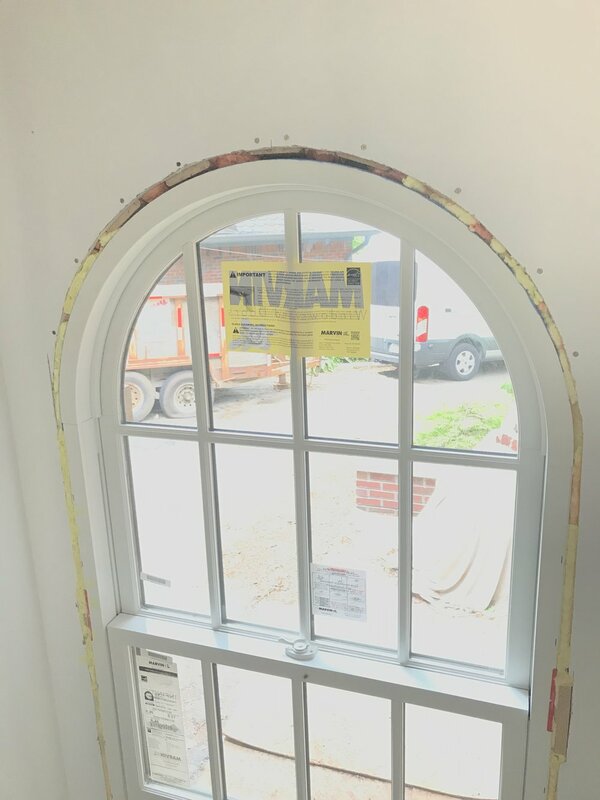 The interior trim strives to mimic the size and shape of the existing trim throughout the house. The fit and finish is extremely important here. 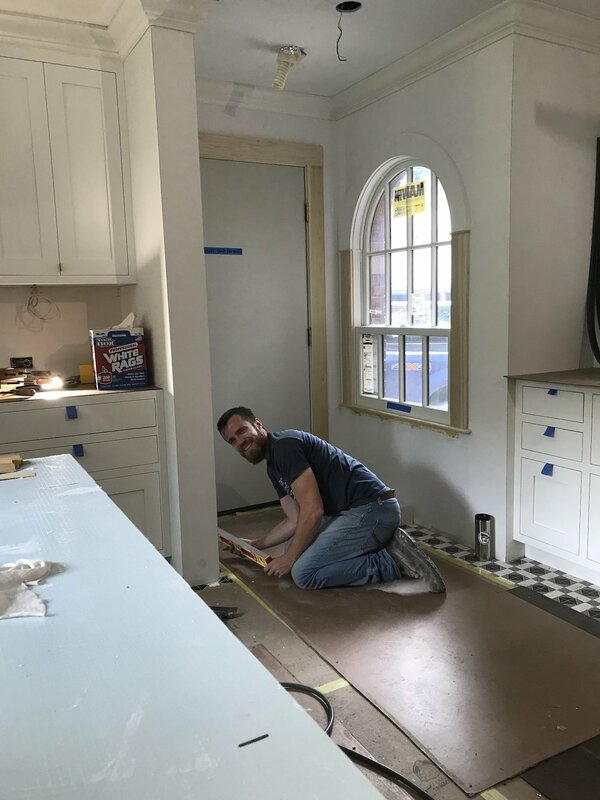 Matt, our Project Manager led the charge with meticulous attention to detail and coordination with our tile craftsman and countertop installers. REMEMBER THAT VINTAGE FURNITURE PIECE? IT'S PERFECT! The master vanity is a special piece. This was a found piece of furniture that our homeowners fell in love with, and our master bathroom design was organized around it. Unique solutions were required, including the coordination of interior plumbing (pictured). Project Manager Matt Nicholas also custom-fit copper feet onto the bottom of these cabinets, adding the benefit of some additional height as well as protection against moisture on the floor, in case of a fixture overflow or other mishap! 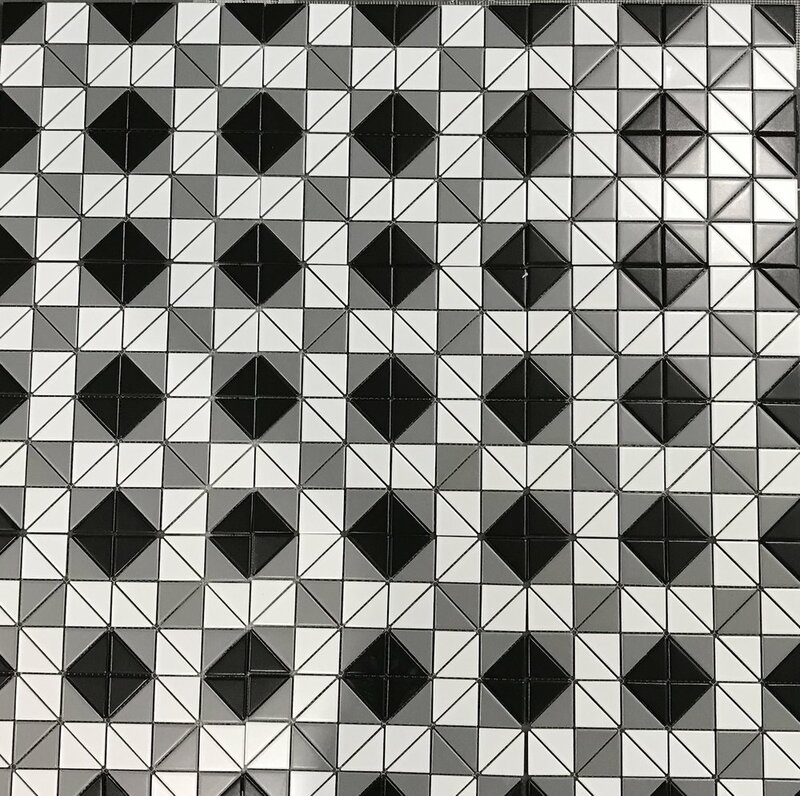 The tile on this project is pretty exciting. The design direction of this remodel emphasizes the historical features of this home, and that continues into the tile selections. Striking geometric patterns give each room a touch of charm and a lot of luxury. 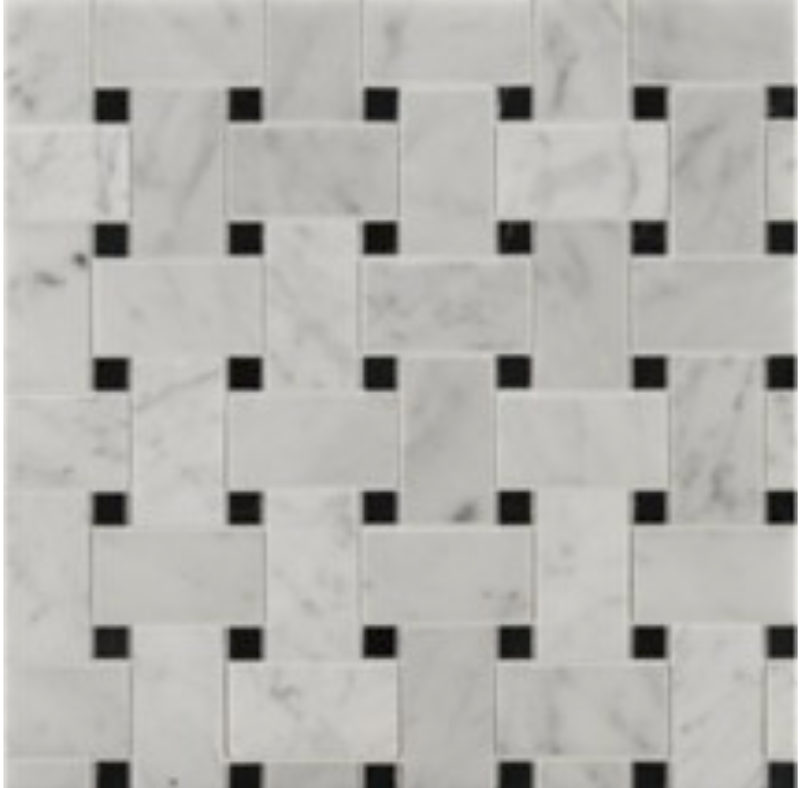 The kitchen features a classic mosaic floor by ANT Tile with a simplified 3X6 subway tile on the backsplash. The master bath features a stunning basketweave mosaic on the floor and a muted hexagonal pattern in the shower. 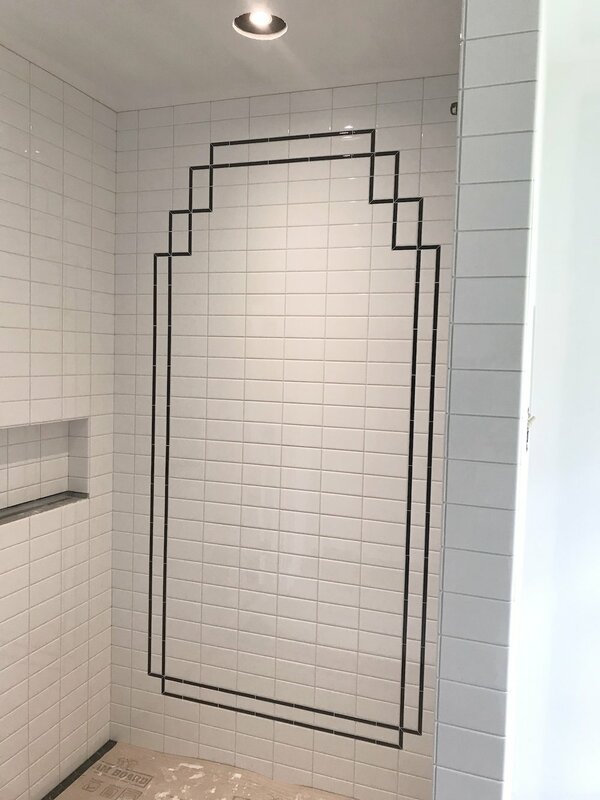 And check out the feature shower wall - a a bit of a throwback to art deco detailing! 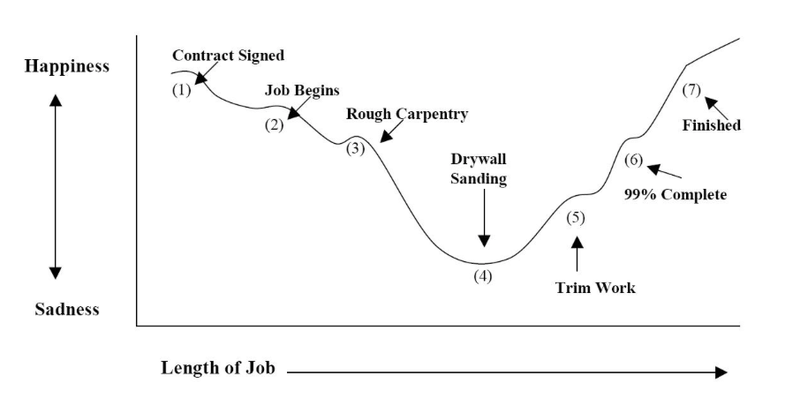 Often a low point in any project, the drywall stage is akin to watching paint dry. 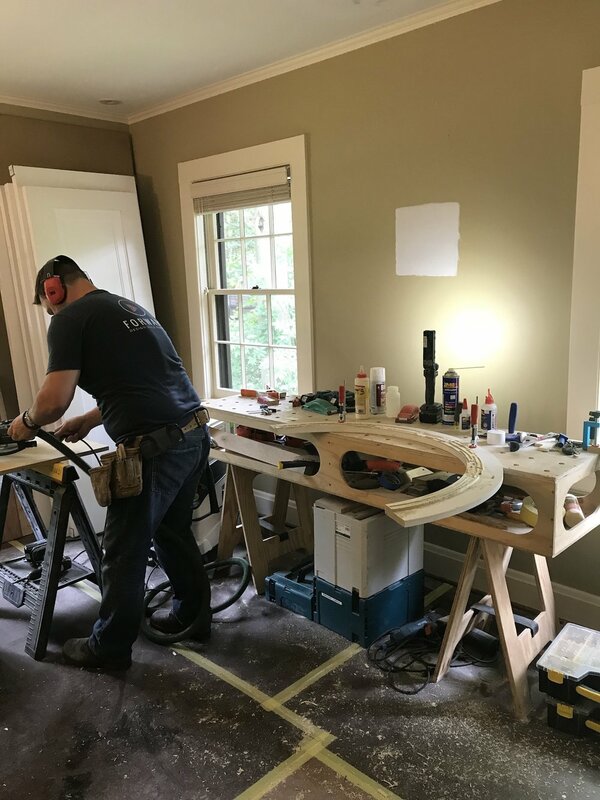 Time and patience are the key here - we are carefully setting the stage for a smooth transition to trim and finishing work, when the project starts to really come alive. 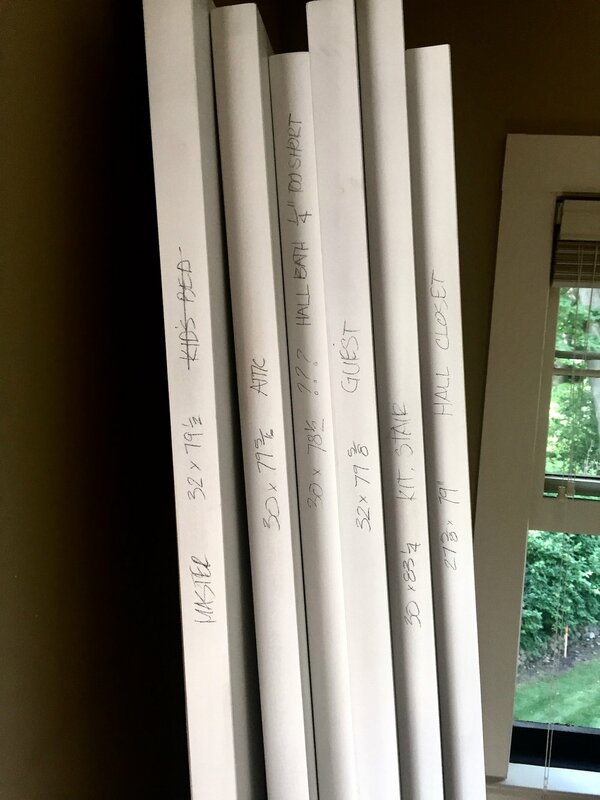 In the master bathroom, our challenge was to tie into the existing plumbing from an adjacent bathroom without damaging the finished room below. We were able to do so,and here you can see our plumber working through the setup. At the master bathroom vanity wall, we will install a unique custom furniture cabinet! Because of the complexity of the layouts that we'll need, we added a layer of plywood to the wall system to better coordinate the very specific plumbing locations. A major piece of this project is the removal of a structural, load-bearing wall and the replacement of that wall with a beam. Here, you can see Matt and Ryan working diligently on its installation. 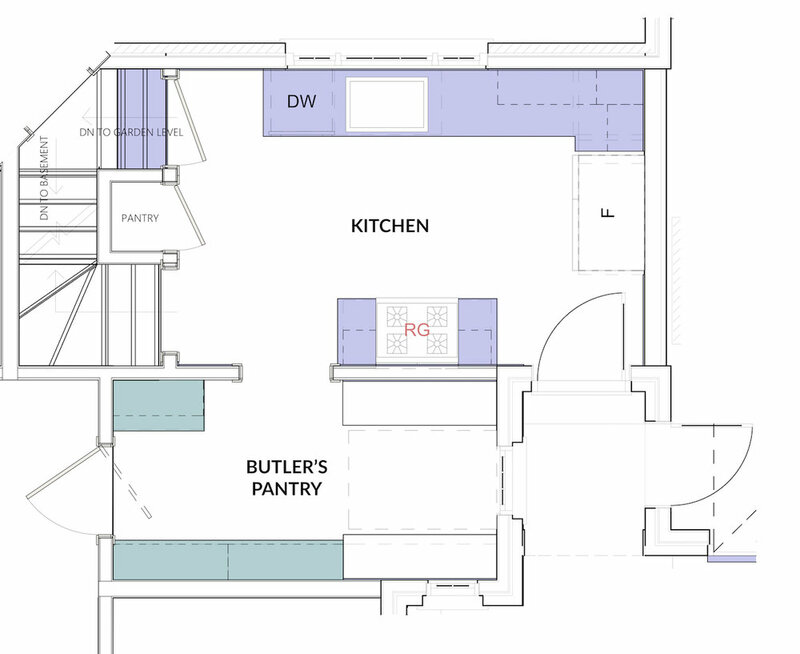 This design decision will open up the space and repurpose the existing Butler's Pantry into a more functional, more awesome kitchen for this family. The area where the concrete substrate was located required all new 2x4 framing to sister to the existing floor joist. The floor joists were each carved to better receive the concrete substrate! 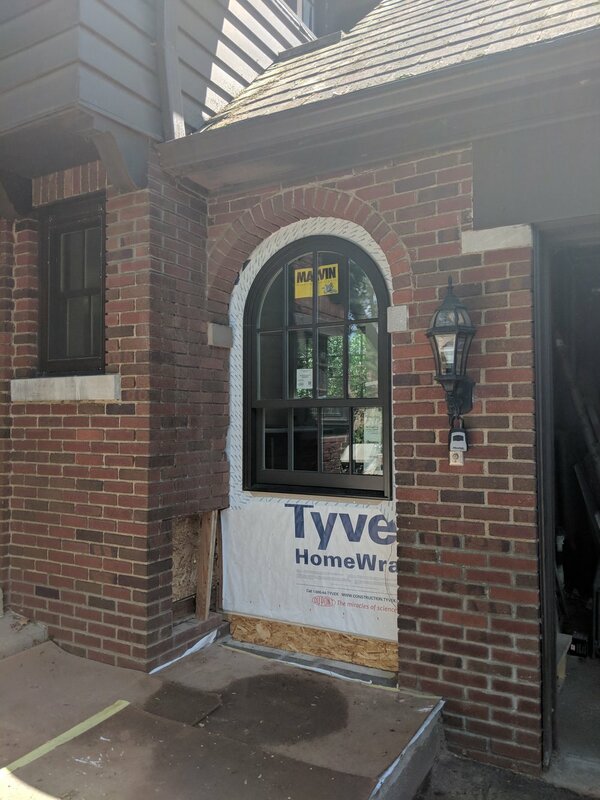 We always expect to find some unique - or "unorthodox" - work in the framed walls of an older home like this. In this instance, the kitchen was remodeled at some point, and they put copper piping in the floor system of the second floor. Unfortunately, they did not locate it properly. As you can see there's a major crack in this floor, a direct cause of the plumbing holes drilled in the bottom quarter of the joist. Overall, however, we were happy to find that this house was in pretty good condition after all these years! Sometimes, even after the design is set, a new inspiration can hit and take hold. In this case, our clients fell in love with the idea of a furniture based vanity. The result is this beautiful mid-century furniture piece taking center stage in the master bathroom. It will be re-furbished, and modified to accept a sink and appropriate plumbing, while maintaining as much interior function as possible. We will also modify the feet to raise the countertop level to the appropriate height. With this new centerpiece, we also adjusted the material and fixture selections to be in balance with this stunning piece. We cant wait to get to see this all come together! The demolition of this kitchen was actually really fun to see. Construction techniques in this era were completely different than today’s - in many ways, homes were “over-built.” Wood material was stronger, made of older stock, than the materials commonly available now. The challenge in demolition is to preserve as much of that sturdy, life-proof construction - while at the same time putting forth the intense effort it takes to dismantle the parts that we don’t want to keep! You may have noticed that the existing tile in this kitchen was rather beautiful - and not in poor condition, considering its age. While it was hard to let go of the tile, the homeowners and our designers agreed that it simply wouldn’t work for the new vision for their kitchen - and that the trade-off would be well worth it! And would you know? Thicker concrete substrates were used for tile installation in the era this home was built. Concrete’s already very strong, but this is stronger… and it’s also as deep as 4 inches below the tile! This was tough work, but somebody had to do it. Always a fun detail to find: did you know that horse hair was often used to reinforce concrete? One of the challenges we faced during this process was not doing any damage to the existing Oak staircase... we didn't want to put any type of tape on the treads! The danger in doing so would mean possibly pulling off the existing finish of the floor. Our approach, illustrated below by Project Manager Matt Nicholas, avoids this and only requires a patch-and-repair to the riser! Before we start demolition, we must protect the existing surfaces as well as limit and control dust as much as possible. You'll notice the use of plastic dust protection - we are using this to seal off and protect wall surfaces. But the real protection for dust control comes in our dust walls, which are 2x4 pressure-fitted systems, with a hard board taped and screwed to the wall. We also utilize a dust door system to really take control. This is a radiator-based home, so there is no air intake protection required on this job. We use a tempered hardboard over the existing floor to protect from scratches or damages from the inevitable tool drop or ladder scrape. 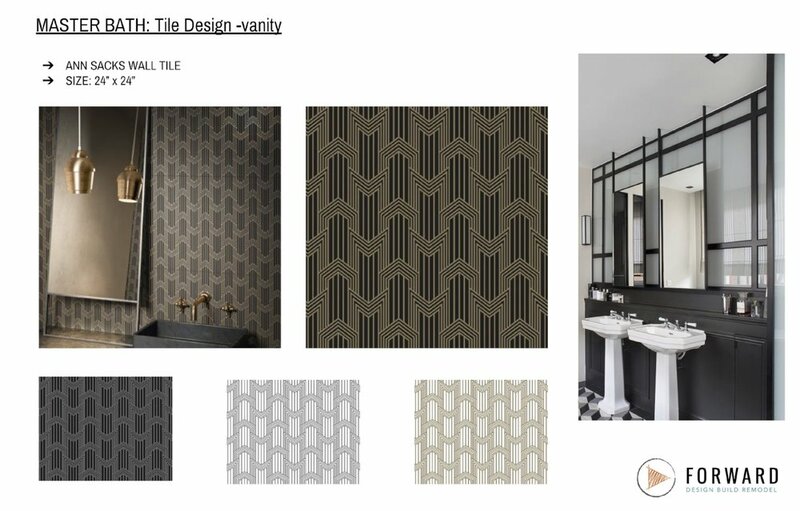 Always a fun part of the design phase, selections was especially exciting here because our clients pushed themselves out of their comfort zones - and we got to have a lot of fun playing off of the historical charm of which their home is chock-full! Okay, bottom line: the existing house is gorgeous both inside and out. It's filled with beautiful details from the early twenties. It's full of charm and wonder, and in good shape considering its age. It's graced with large rooms, natural light, and very specific and quaint details. 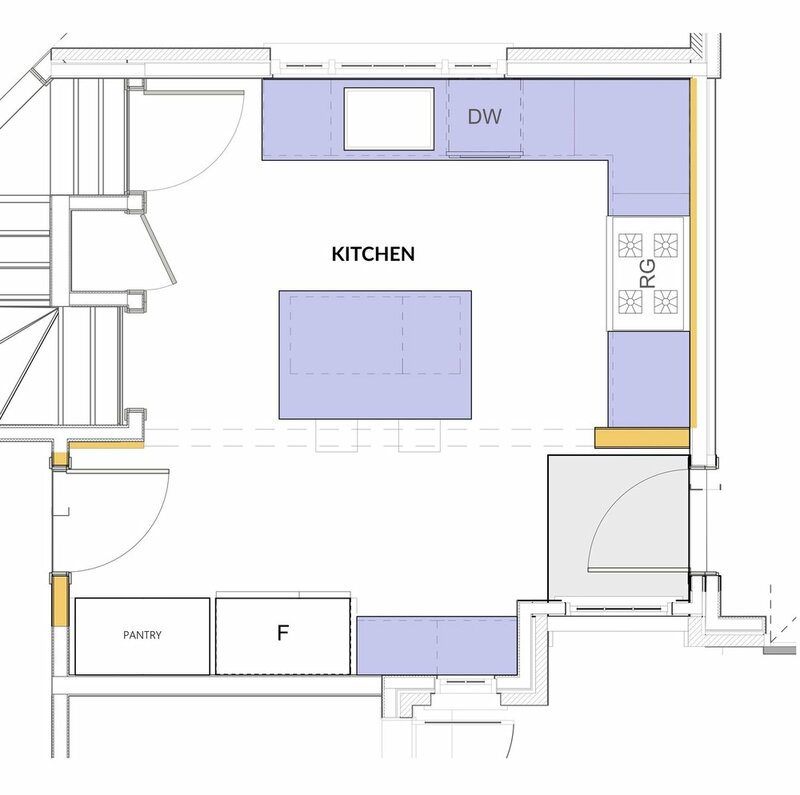 But a primary concern for the homeowners is that the functionality of the kitchen did not work for how this family wanted to live in the space! It had a dated layout, which didn't work for these homeowners who love to cook. 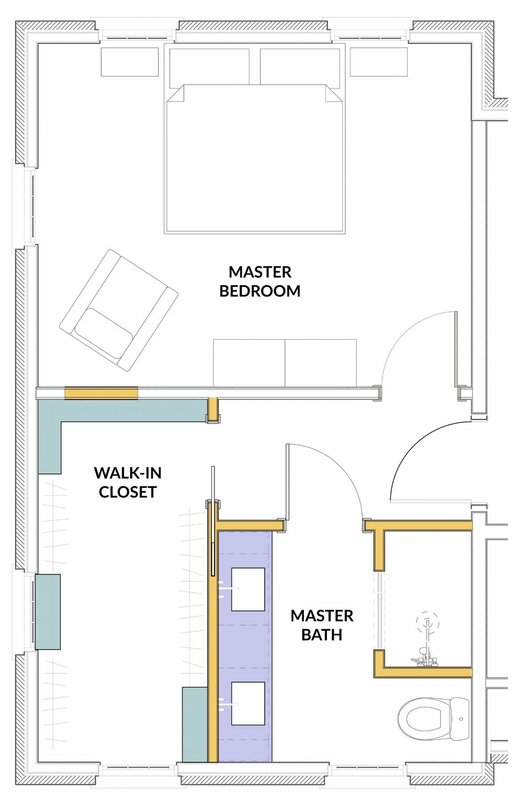 Secondly, the house lacked a true master suite; our clients wanted a functioning walk-in closet and a comfortable master bathroom, complete with a walk-in shower. We designed a two-cook kitchen that could truly act as a central hub for the house - but also look like it has always been there. We captured an additional 16 square feet of exterior space under the existing roof line, allowing us to consolidate the circulation at the entry points and create a separated circulation route from the workspace of the kitchen. We also removed a load-bearing wall between the butler's pantry and kitchen space; this created a more functional space and made possible the central island that defines the new space. 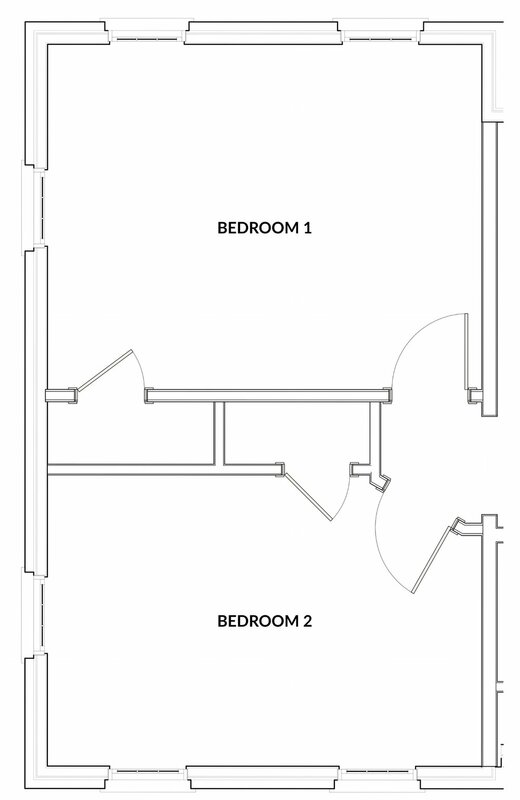 On the second floor, we converted two bedrooms into a master suite with a full walk-in closet in master bath. The challenge with this scenario was to maintain all of the existing windows in their current locations, as well as to locate the plumbing without tearing into the ceiling and walls in the room below. Several beautiful details were saved in the course of this remodel; we made conscious choice to preserve the formal dining room, as it’s filled with a beautiful intricate cove molding that will be beautiful for many years to come. We also maintained the intricate, multi-directional stair circulation system in the house. While it uses additional square footage that could have been recaptured, the unique feature provides character and intrigue!